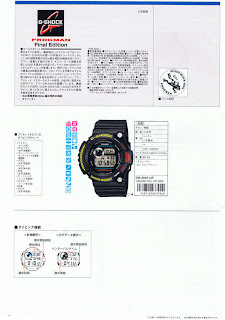 Evidently Casio will be issuing a new GW-200Z-1 in November 2009. Evidently this will be the last Frogman without the Multi-band 6 Atomic Sync. This may mean the end of the GW-200 series. Looks like the Frogman series will be replaced by the GWF-1000-1 Frogman. The watch is expected to retail for about USD350. From early pictures, the watch looks like the classic Frogman of past. I believe this watch will sell well and maybe even sell out. Looks like its time for me to visit my local Casio shop.